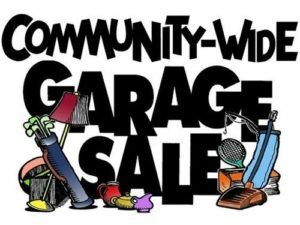 The Annual Community-Wide Garage Sale has been scheduled for the weekend of May 3 – 5, 2019. Register your Sale at the Town Office (4818 – 47 Street) for $10. You will get a Garage Sale Kit that includes: signs, balloons and stickers. When you register your sale, the dates and times of your garage sale will be recorded on a map. A map of the registered Garage Sales can be found at the Town Office and the Post Office (4850 – 47 Street) on May 3rd. Registration Deadline: May 2nd at 4:30 pm.